Neato vs Roomba – Which is the Best Robot Vacuum? Neato and iRobot are two well established global manufacturers of robot vacuum cleaners. If you're considering enlisting the help of a robot vacuum in your home then you are most likely weighing up the merits of Neato vs Roomba as these two brands compete for a major market share. This article compares the latest models to help you decide which one deserves a place in your cleaning arsenal. 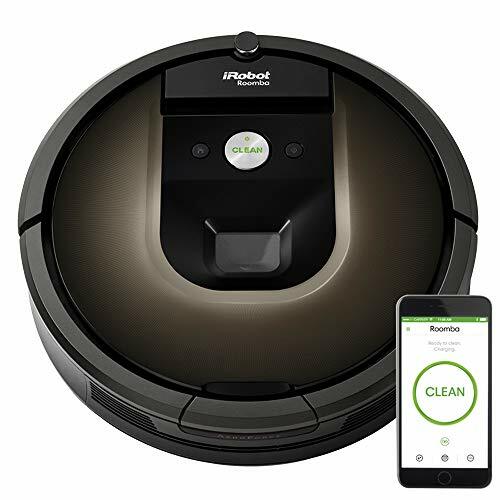 The iRobot Roomba has featured highly here at Home Vacuum Zone: taking a spot along with the Neato Botvac in our Best Robot Vacuum Reviews and we also looked at the full model range in detail in our more recent Roomba Model Comparison. But let's look briefly at the Roomba vs Neato brands. iRobot, the company behind the Roomba brand was founded in 1990 by Massachusetts Institute of Technology roboticists. As you might guess from their name, iRobot are a robotics company and therefore aren't your everyday vacuum cleaner manufacturer like Shark or Dyson. Since their inception the company has grown quickly due to the popularity of the Roomba. Their revenue in 2014 reached $557 million and sales of their Roombas accounted for 64% of the global robot vacuum market! They now have offices established around the world employing more than 500 robotics experts. iRobot's Looj Gutter Cleaning Robot. As can be seen from the above timeline of Roomba's history, the Roomba was first launched in 2002. iRobot have sold over 15 million robots worldwide. Roomba has developed over the years to improve functionality and features with new models frequently being released. There are five different models currently listed on iRobot's website to suit a range of budgets. Four of these latest Roomba models will go head to head versus Neato in the following sections. 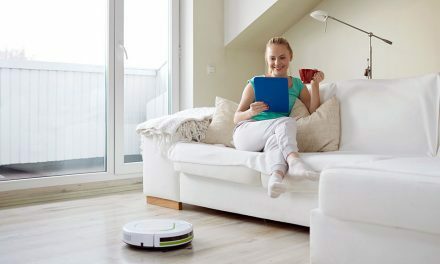 Neato is a much smaller and younger company than iRobot having launched their first robot vac in 2010, more than seven years after the release of the Roomba. Like the Roomba manufacturer, Neato are purely a robotics company. Neato's headquarters are in California where they do the design work for their robots, which are manufactured out of China. They have also more recently partnered up with Vorwerk Kobold in Germany to produce robot vacs for the European market. Neato's robots have grown rapidly in popularity and in a short space of time are challenging the more established Roomba in the battle for the best robot vacuum cleaner crown. 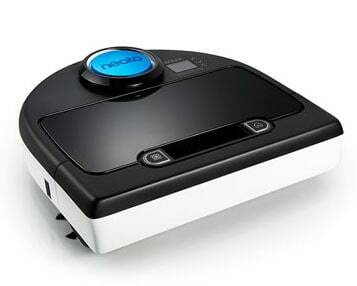 Their robot vacuums are commonly known as Botvacs and they are Neato's main product line. The good thing about both of these robot vacuum manufacturers is that they've been at this for a while and so their units are reliable. They've also received awards and top ratings from top review site such as Cnet, Expert Reviews and Digital Trends. When things go wrong their customer service are also experienced at helping to get any issues resolved as quickly as possible. I love the Shape of that Bot! The stand out difference between the Roomba and Neato robot vacuum brands is the shape of their bots! Roombas are famous for being round whereas Neato botvacs are D-shaped. The D-shaped Neato has the advantage of being able to get right into those corners, nooks and crannies (within 10mm of walls). Due to the round shape of the Roomba they cannot get as close into the corners of rooms as the Neato. The D-shape of the Neato robot allows it to get into corners and also enables a much larger brush width and dirt bin than round robots. Round robots, like the Roomba cannot get as close to corners. They also have their brushes between their wheels and therefore a smaller brush and dirt bin. Another key difference between these two robot vacuum brands is the way that they go about cleaning your house! A Neato robot vacuum uses its laser mapping technology to scan the room, intelligently map out the best cleaning path, and vacuum in a nice back and forth pattern until the room is complete. A Roomba, by comparison, spins around and bounces from obstacle to obstacle finding a clear path to clean until its cleaning time is up. It also has a "dirt detector" so if it finds an extra dirty spot it will go over it a few times to make sure it captures all the dirt. What these differences generally mean ​is that the Roomba will take longer to clean a room than the Neato. Neato's more logical cleaning pattern results in faster cleaning (Neato claims 4x faster than "bounce around" robots). As a result, we think the Neato has a great advantage over the Roomba and it's cruder algorithm. 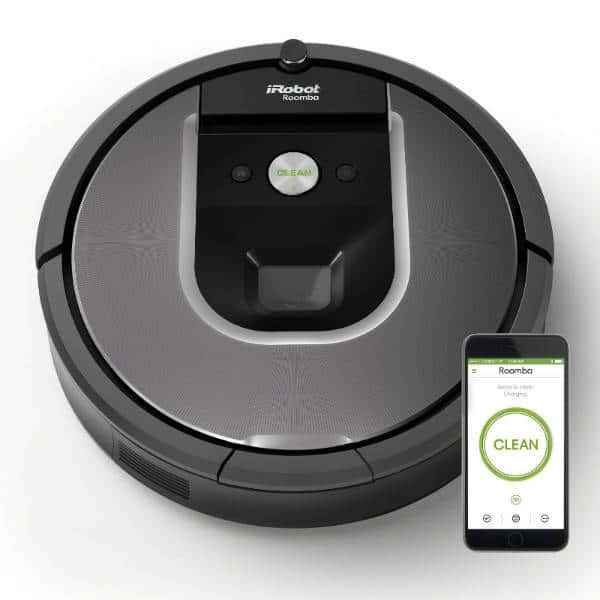 The exception to this is iRobot's best performing and top line Roombas - the 960 and 980. As well as many other enhanced features, the Roomba 980 has a smarter algorithm than its cheaper Roomba cousins, ​known as iAdapt® 2.0 Navigation. As a result, the Roomba 960 and 980 have a much higher efficiency cleaning pattern than the others. However even these models still tend to bump around more than the Neato botvacs. ​Neato robots come with boundary markers to keep them out of places you don't want them to go whilst the Roombas come with auto virtual walls to do the same. 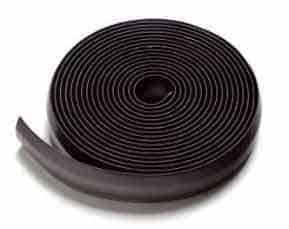 Neato's boundary markers are long rubber strips that you simply place flat on the floor to keep the robot out of any areas that you don't want it to enter. You can easily cut the magnetic strip to fit doorways, around pet bowls, cords, or anywhere you don’t want Neato to go. 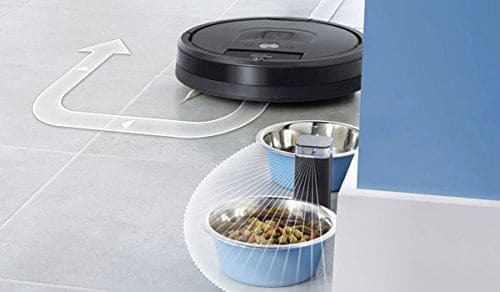 The auto virtual walls that come with some Roomba models use an infrared beam to block Roomba from doorways and other off-limit areas. These require batteries to work, however are "clutter free" compared to the boundary markers. One auto virtual wall is included with the Roomba 650 and 860 included in this Neato vs Roomba review. Some Roomba models also come with a Virtual Wall® Lighthouse™, which is an enhancement on the auto virtual wall. 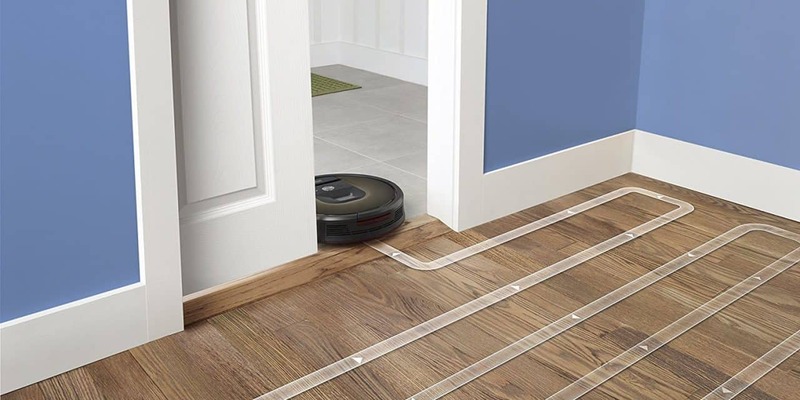 In addition to blocking off areas of your home, these accessories can be used to guide your Roomba to enable sequential room-to-room cleaning. A Lighthouse confines Roomba in one room until it is clean before allowing it move into the next room. So they're useful for larger homes. iRobot has a policy of including the Lighthouse technology only in the higher-end models of their latest series. The Roomba 880 model included in this review comes with two of them. To confuse matters further, iRobot's latest Roomba 980 comes with two Dual Mode Virtual Walls®. Like Virtual Walls, they can be used to block off an open doorway, but they can also be used as Virtual Wall Halos, to protect some restricted area within the room. The Roomba 980 doesn't need the lighthouse feature as it has an in-built camera and additional sensors. Persistent pass cleaning method - employs a back and forth cleaning method to ensure all dirt is captured. Wall-Following Technology - vacuums along and right up to wall edges and kickboards. Anti-Tangle Technology - won't get caught up on loose cables and carpet fringes. Roomba is able to maneuver around a cluttered or heavily furnished room, so you don't need to do much preparation before cleaning (although certain small objects need to be picked up like kids lego). Cliff detection sensors - knows where the stairs are so it won't fall down them. Light-Touch Bumper Technology - knows the difference between soft barriers and solid barriers. This allows Roomba to go under curtains, comforters, bed skirts and couch skirts. SpinFlow™ Power Clean Technology - a versatile brush system including a combo brush for the best all round clean and an alternative spiral blade brush for optimized deep cleaning when you need it. This combines with powerful suction and automatic adjustment to different floor types to provide thorough cleaning of your floors. LaserSmart Mapping and Navigation - as described above, Neato robots are smart and clean in an efficient pattern by scanning the room with lasers. They also carefuly move around furniture and toys and don't fall down stairs. Furthermore, Neatos can navigate well in rooms with little to no light unlike other robots. Auto Charge and Resume - if they need more power, Neato Botvacs automatically return to the charge base, power up, then go back to finish the job. By contrast, Roombas only have this feature on the highest spec models 960 and 980. D-Shape with CornerClever - Neato's D-shaped botvacs get right into the corners of rooms and they make a big deal of how much closer their robots can get compared to round shaped robots like the Roomba - as we've highlighted above. 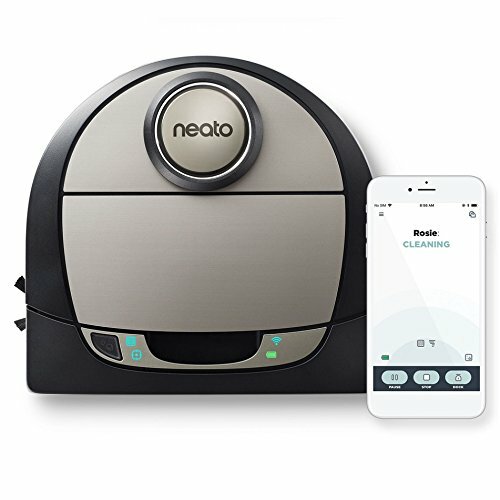 Multi-Room Navigation and Entire Level Cleaning - ALL of Neato's latest Botvacs are smart and can cope with multiple rooms and clean the entire level of your home. The only restriction to this is their battery life, which varies across the different models. This will affect how many re-charges it will take them to complete the task. In terms of Neato vs Roomba vacuums this is another point to highlight as only the top end Roomba models (Roomba 960 and 980) are this smart. As smart as Neato and Roomba robot vacuums are, there is one thing that they still can't handle - black surfaces! Whether its carpet or hardfloors, if they are black both Roomba and Neato bots will not clean them - this is due to their cliff sensors thinking the black surface is thin air! Even the top end latest models from both manufacturers have not solved this problem yet. 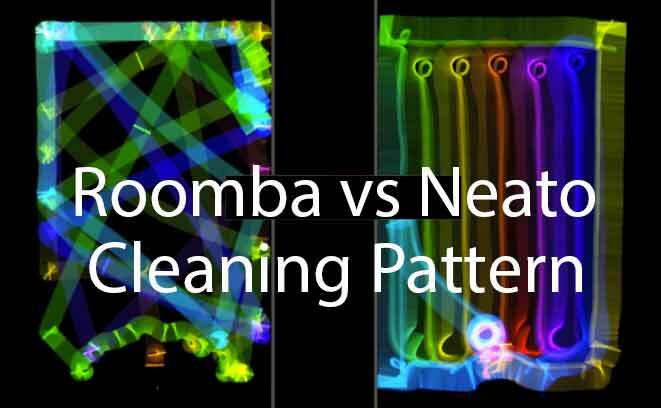 Now let's get into the detailed Neato vs Roomba model comparisons! Most affordable and advanced Wifi-enabled Robot Vacuum ever! Or, just press the button on the robot and go! Easily handles fibers like hair, pet fur, lint and carpet fuzz. ​Neato's D3 Connected has wifi capability but the Roomba 650 does not. 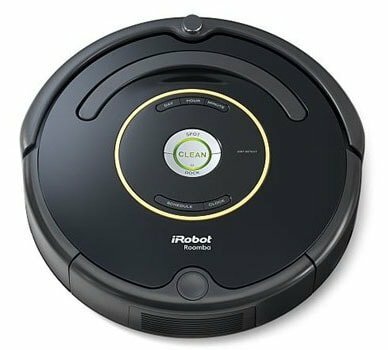 ​The Roomba 650 is slightly cheaper than the Neato D3 Connected. Roomba 650 comes with an auto virtual wall but the Neato doesn't come with any boundary markers, which must be bought separately. Roomba's brush roll is more difficult to clean than Neato's. The more expensive Roomba models have the tangle-free debris extractors, which reduces the amount of brush roll cleaning required. The Neato D3 also has a recharge and resume function, however the Roomba does not. This means that if the Roomba runs out of battery before it has finished its cleaning job it will not resume again after recharging. The Neato remembers where it was up to and resumes where it left off before re-charging. Only the most expensive Roomba 980 model does this. Both of these robot vacuums are best suited to smaller homes. The Roomba 650 works best when confined to individual rooms. It's a tough decision between these two, however based on the added features of the Neato D3 Connected and the fact that it has a lithium-ion battery we think it offers a better value. However, the Roomba 650 is tried and tested over a few years now and has excellent feedback for its cleaning performance, in independent testing and from users. It performs well on carpets and hardfloors and also deal with pet hair effectively. Although both of these robot vacuums could be considered "entry level" they will do a fantastic job of what they are intended for - cleaning your floors. Overall, if that is all you are looking for without the extra features of the higher end models then these are a good choice. High Performance robot vacuum, specifically designed to pick up hair. 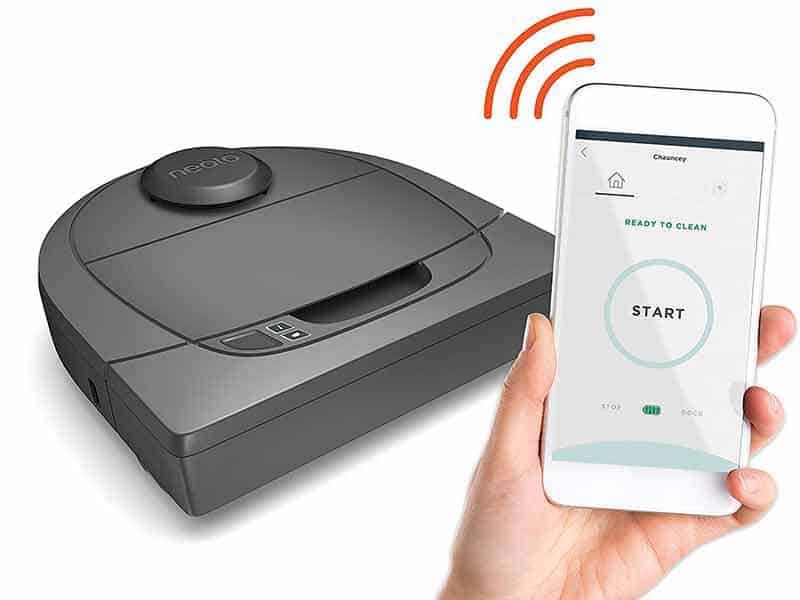 Neato's Botvac D80 has multi-room navigation and entire level cleaning capability as well as a recharge and resume function but the Roomba does not. The Neato D80 is therefore a smarter Bot than Roomba 860. 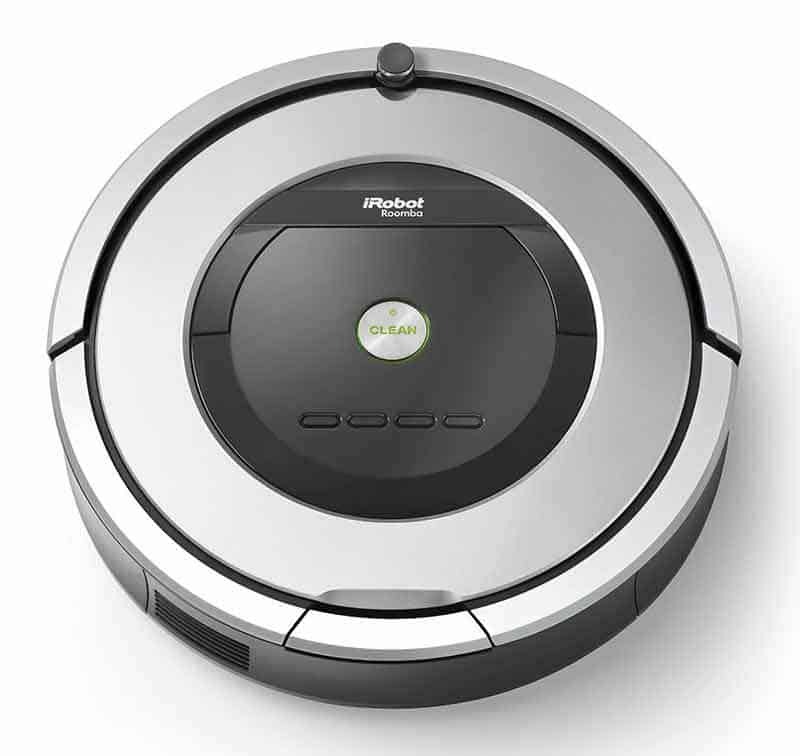 The Roomba 860 has a better battery (lithium-ion) than the Neato D80 (NiMH). This means it will run for longer between charges, however as its cleaning pattern is less efficient it doesn't mean it will clean faster! The Neato D80 has a larger brush and larger dirt bin than the Roomba 860. This means more cleaning between emptying. The Roomba 860 has two counter rotating brushes (tangle free debris extractors) whilst the Neato has a single brush (you can use either the combo brush or spiral brush). Roomba 860 has a dirt detect feature, however the Neato D80 does not. 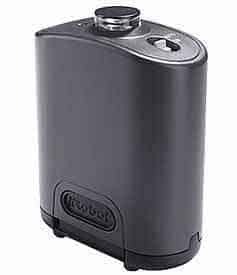 The Botvac D80 was released in mid-2015 and has proved really popular and received excellent reviews. We also reviewed the D80 in our Best Robot Vacuum Reviews last year and found it to be best at picking up pet hair based on Cnet's performance testing. The Neato Botvac D85 excels at stubborn pet hair pickup. The Roomba 860 is slightly newer than the Neato having been released earlier this year. We also recommended it as the best choice it in our Roomba Model Comparison. The performance of both of these robot vacuums is very good and is a step up from the Neato D3 and Roomba 650 models. In addition, both Bots are easy to clean and maintain. However, Neato has performed slightly better in tests. By contrast, the Roomba 860 scores more highly for its maneuverability and it's accessories, e.g. the auto virtual walls are more convenient than the Neato boundary markers. Whilst the Roomba 860 has good cleaning performance it still lacks the enhanced features of the Roomba 980: multi room navigation, recharge and resume and entire level cleaning. We think the auto charge and resume feature is really useful if you want to get the most out of your robot vacuum cleaner. As a result, this is why we would favour the Neato Botvac D80 over the Roomba 860. But if you prefer the round robot design then the 860 is a good choice as we think it offers the best value in the Roomba range. Neato D5 Connected has a larger brush and larger dirt bin than the Roomba 960. This means faster cleaning times and less frequent emptying. Roomba 960 has a dirt detect feature, however the Neato D5 Connected does not. Roomba 960 has two counter rotating brushes (tangle free debris extractors) whilst the Neato has a single brush (you can use either the combo brush or spiral blade brush). The Roomba has a bin full indicator but the Neato does not. However, Neato beeps when the bin hasn't been emptied for a few cleaning runs to serve as a reminder. The Neato Botvac works well in low light conditions due to its laser mapping technology but the Roomba does not. Roomba 960 uses a camera to map out its route, which does not work well in the dark and will signal an error. Both of these models are top end robot vacuums, with high prices to match. If you're looking for the latest robot vacuum technology then either of these is a fantastic choice.​ If you're budget suits. At this price level, we think Roomba really competes well against Neato. There is very little to separate these bots in terms of performance: both are excellent at cleaning your floors and provide the best level of filtration. ​They are also really smart bots with efficient navigation meaning they require less attention from you to do their job - kind of the whole point of a robot vacuum in our view! ​Some of the advanced controls can only be accessed from your smartphone or tablet via the app - no good if you don't have one! ​The Neato Robotics D7 Connected Laser Guided Robot Vacuum Featuring Multiple Floor Plan Mapping and Zone Cleaning, Works with Amazon Alexa Silver/Black is significantly cheaper than the iRobot Roomba 980 Wi-Fi Connected Vacuuming Robot. 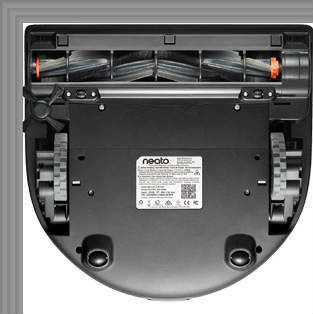 Neato's Botvac Connected D7 has a larger brush and larger dirt bin than the Roomba 980. This means faster cleaning times and less frequent emptying. Roomba 980 has two counter rotating brushes (tangle free debris extractors) whilst the Neato has a single brush (you can use either the combo brush or spiral blade brush). The Roomba has a dirt detect feature, which signals focused cleaning when needed. The Neato Botvac Connected does not include this feature. 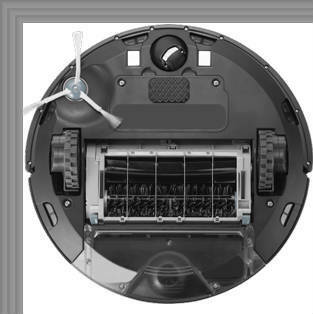 Roomba 980 also has an auto carpet boost feature so it can deliver additional suction power when it is needed most. Although the Neato Botvac Connected has a turbo mode, this is not automatic and needs to be selected. The Neato also has an Eco mode not featured on the Roomba, providing a quieter but longer cleaning mode. Roomba 980 has custom cleaning preferences that you can select via the iRobot Home app - Two Cleaning Passes (only one is the default unless more are required by the dirt detect sensor) and Edge Cleaning (to give the perimeter of the room a more thorough clean). Neato's Botvac doesn't include these features. The Neato Botvac works well in low light conditions due to its laser mapping technology but the Roomba 980 does not. Roomba 980 uses a camera to map out its route, which does not work well in the dark and will signal an error. The Neato has an LCD screen on the Robot, however the Roomba just has buttons and you need to use the mobile app to access some of the functions. 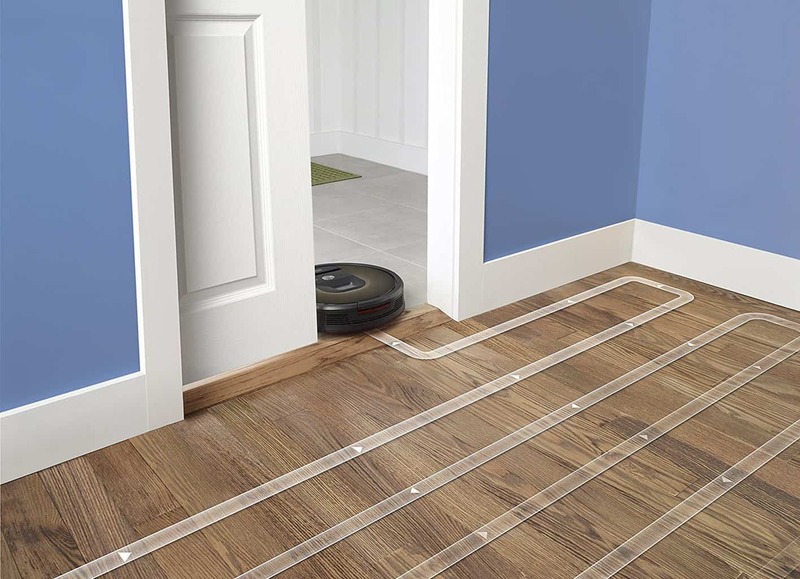 Roomba 980 comes with two Dual Mode Virtual Wall® Barriers, which provide greater control over where your Roomba cleans compared to the rudimentary boundary markers that come with all Neato botvacs. To conclude this Neato vs Roomba Robot Vacuum Comparison we have looked at the top models from both manufacturers. Both have advanced technology and features and ultimate cleaning performance which means more convenience and versatility and a better result than the lower end models. As can be seen above, each of these robot vacuums have pros and cons when compared against one another. Roomba 980 has more customization settings and more advance accessories (Dual Mode Virtual Wall® Barriers)​ compared to Neato. It also has the auto carpet boost feature. However Neato can go to work in Eco mode so it won't disturb you and it also copes with dark conditions. The main difference between these models is the price. We think that the Neato Botvac Connected D7 is a better choice on this basis. Its hard to justify the extra cost of the Roomba 980 compared to the Neato for the few extra bells and whistles that you get. Many would also argue in fact that the Neato is actually a better performing robot vacuum based on the points we've outlined above. What do you think? We'd love to hear your views. 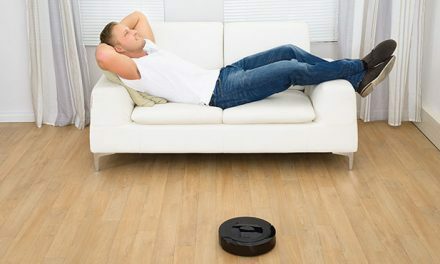 The excellent video below courtesy of Vacuum Wars provides a detailed comparison of these Neato Botvac Connected D7 vs Roomba 980 robot vacuums. Essential viewing before making your mind up between these two units! 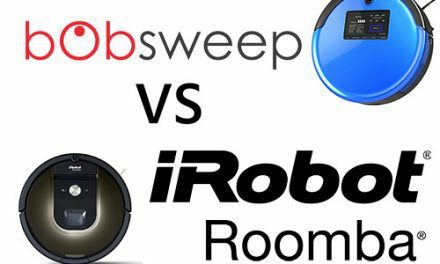 We hope you've found this Neato vs Roomba comparison useful in your search for the best robot vacuum cleaner. If you liked it then please share it on your favourite social media platform for others to see! Also, if you've any comments or have anything to add, please let us know in the comments section below! PreviousHoover vs Bissell Vacuums – Which Brand is Best? Of all the robovac text and video reviews yours was the best! Thank so much for your thoroughness and great delivery.